It has been a fantastic start to the season, with many outstanding flights. One of these was a record-breaking out-and-return, Dunstable to Scotland, by Ed Downham and Robin May. Read all about it, find out how to find and use a sea breeze for soaring, discover from Andy Davis how glider handicaps are established, and much more – all in the Aug/Sept issue of S&G. 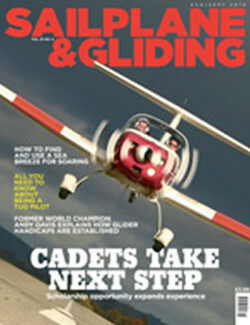 Our front cover features Air Cadets. Did you know that each year 1,200 Air Cadets solo in a glider? That’s a lot of potential club members. A new scholarship scheme is enabling Cadets to expand their experience of gliding in BGA Junior Gliding Centres. Dan McCormack tells us how a scholarship is helping him develop new skills, while RAF Squadron Leader Carl Peters explains how his ATC background has proved valuable, whether flying in a gliding comp or managing the engineering effort of a Tornado Squadron. An inland sea breeze can be a welcome source of lift when you are flying cross-country, but it is a fickle phenomenon and hard to forecast with confidence. Alan Lapworth offers valuable advice on how to find and use sea breeze. Don’t miss one of Steve Lynn’s stunning images in the Gallery this issue, which shows an isolated bit of sea breeze, identified by Ed Downham off the north coast of Wales. Steve says that when they approached it, quite well inland, it ‘almost exploded into life’. The best candidates for future tug pilots are glider pilots with a PPL, says BGA Senior Tug Pilot John Marriott. John tells us everything we ever wanted to know about being a tug pilot, but were afraid to ask. 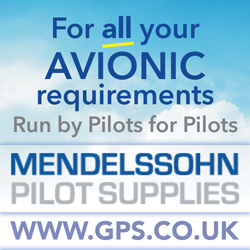 He also highlights the importance of glider pilots giving their feedback after an aerotow. The panel of S&G expert advisers are kept busy answering your questions. John Clark, of Talgarth, recently asked ‘how are handicaps established, and what is the chance of having a realistic handicap for the Nimbus 2?’. Former world champion Andy Davis provided a comprehensive answer, which we are pleased to share with readers in this issue. Also in this issue: BGA Chairman Patrick Naegeli comments on the BGA’s planned move from Kimberley House to a new building, and on the range of outstanding flights flown by UK pilots in the first half of this year. BGA Development Officer Alison Randle looks at the important role played by Uni clubs. BGA Chief Executive Pete Stratten explains how the online instructor revalidation process is improving accuracy of data and paving the way for individual revalidation dates. Jochen Ewald climbs into the cockpit of the SF-25C Turbo-Falke to evaluate the performance of this lightweight club aircraft and workhorse. Steve Longland turns the spotlight on to the variometer in his continuing series on how aircraft instruments work. Duncan Thomas suggests we change the image of gliding, following a flight that confirmed to him that gliding is an unrecognised extreme sport. Martin Simons reveals how a ‘perfect’ landout on a disused runway turned into the retrieve from hell. Hugh Woodsend looks at how Airprox trends are developing. 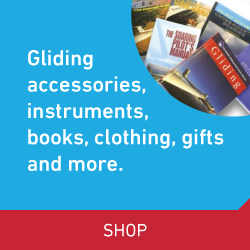 Tricia Pearson talks about the importance of travel insurance, particularly if you are one of the many recreational glider pilots who heads for the Antipodean sunshine in the autumn. Andy Cockerell, one of six potential Junior Team pilots chosen to develop their flying skills, talks about flying in the Spanish Pyrenees. Roger Emms looks at ways at reducing stress levels when flying. Last, but not least, don’t miss the truly stunning images in the Gallery pages.